Thousands of children in Arizona are waiting to be part of a family. Arizona children are placed in out-of-home care due to neglect, abandonment or abuse. In cases where parents are not able to provide a safe environment for their children, a court determines it would be in the best interest for the child to find an adoptive home. over the last three years. Adoption isn’t easy, but creating a family is worth it. From newborns to youth, read stories of triumph that prove there are no unwanted children, just unfound families. When Amy Carney was called to her journey into the child welfare system, she had no idea where it would lead her. 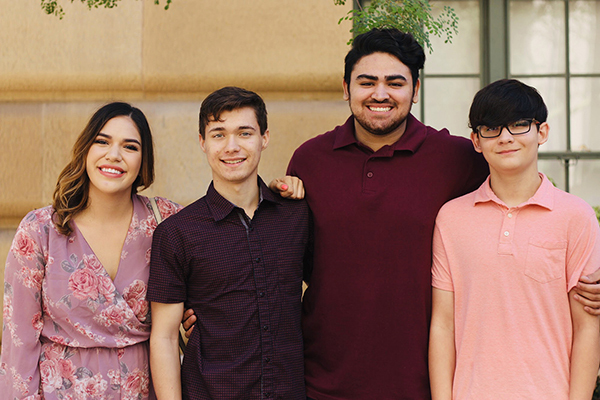 Beginning with a weekly read of Wednesday’s Child in the Arizona Republic, continuing with a series of foster placements, mentorships and now, with an adoption, she credits both God and the Children’s Heart Gallery, an Arizona Department of Child Safety resource that helps connect potential parents with children seeking adoption, with helping her decide to get involved. And do something, she did. First by inquiring into foster care. With months of training and preparation, she and her family welcomed their first foster placement. The boy was struggling, and despite the family’s best efforts, and was moved to a placement that would better fit his needs. The pain of the situation nearly ended their time working with kids in the system – the sense of failure was just so strong. But, little by little, Amy felt the call to try again. She and her family began by providing respite care, supporting foster families by giving them time to rest when they are traveling or just need a weekend off of the challenging work. She also began mentoring teenagers in care, thinking it would be a less intense way to help. One day, as she visited one of her mentees, Amy overheard her group home staff discussing scheduling a cab to take the teen to an adoption event for the Children’s Heart Gallery. Amy had never heard of the event, but she figured at the very least, she could drive the teen so she wouldn’t have to take a cab. She had no idea that this simple decision would alter the course of her – and others – lives. Once she arrived, Amy and her mentee walked around the event and began to understand what it was about. Amy remembers a big room, full of volunteers, foster parents and especially, kids. All ages, all stages, all without a forever family to go home to. The kids were there for a last chance at adoption, having had other potential adoption opportunities fall through for various reasons already. 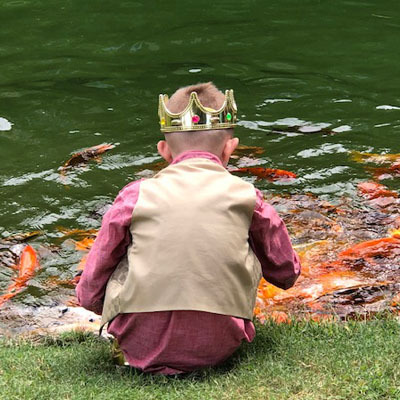 While at the event, the kids were having their photo taken for a gallery, in hopes that someone would see their photo, read their profile, and end up becoming the adoptive parent they dreamed of. She remembers feeling her heart break as she took in the scene. Then, something happened that would change her life forever. As they sat together, finishing up a game before their planned departure time, her mentee stopped to introduce Amy to a young boy. They had met while in associated group homes, and they were thrilled to see each other. She left that day to explain to her family what had happened. They were skeptical. Could they take another full-time child just as their teens were nearing college? Could they handle the inevitable tough times that would come from adopting a child? Amy knew they could, and her family eventually got on board too, realizing the opportunity they had to improve a child’s life, and their own. A few months later, Nix was in their home as foster child, and four months after that, on National Adoption Day, he was their son. Today, Amy’s adopted son is thriving, living with their supportive family and being “loved on” by his doting brothers and sister. Beginning with an article in the newspaper, coming full circle to adoption through the Children’s Heart Gallery, this journey was one of opening hearts as well as homes. Now, she’s helping others open their hearts and homes to these opportunities through the Children’s Heart Gallery and adoption venues. Amy wouldn’t change a thing. For JR, this was his last shot at a family. At 17 years old, he had lived in a foster home and group homes for several years. Having also seen past adoption opportunities fall through, he didn’t want to get his hopes up when he met foster parents Berdette and Frank Carrasco. It’s an emotional choice that many teens in foster care face: whether or not to continue putting yourself out there in hopes of adoption, knowing chances may be slim. Despite trepidations, JR went to his first meeting with the Carrasco’s, and made it clear that he really wanted it to work out. JR wasn’t the first foster child the couple had taken into their home. 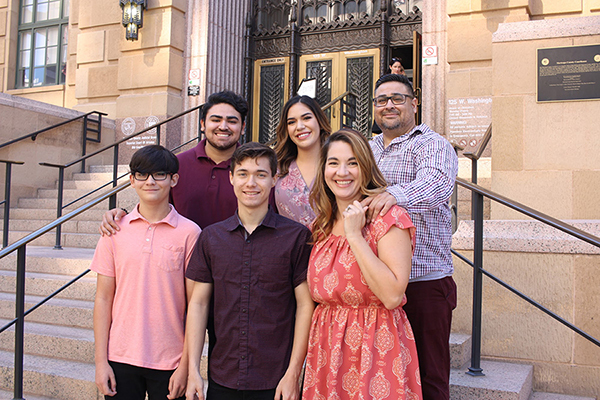 The Carrascos had been licensed foster parents since 2013. They began fostering medically fragile babies, inspired in part by paying back the kindness they had received while grieving the loss of their son in 2007. Berdette, a licensed nurse who cared for her child through his long illness, felt like she had the skills and experience to meet the challenge of infants facing health challenges in foster care. Over the years, as their own children grew older, the transition to fostering and mentoring teens made sense. Frank was enthusiastic about helping teens in foster care, who often struggle to find families. But the prospect was initially very intimidating to Berdette. The placement of a foster son in the Carrascos’ home opened up Berdette’s eyes. On paper, the teenager looked like a challenge, but in person she was immediately impressed by his kindness and intelligence. He brought both energy and peace to their home, and following that experience, Berdette and Frank realized that they were ready to expand their family again. They connected with JR through his profile in the Children’s Heart Gallery, an online resource that features photos and short biographies of kids seeking adoption. Managed by the Arizona Department of Child Safety, it also hosts events where volunteers can help children and teens as they get their photos taken and biographies written. JR’s experience had been similar to many teens in foster care, who often face an uphill journey to finding a family due to the shortage of qualified foster parents open to fostering teens. His story is special because he did find a loving home through the Heart Gallery, and Arizona’s committed community of foster parents. When Berdette and JR met for the first time, she was more confident about adopting a teen in foster care. Having been a foster parent to a teenager already and knowing many other foster parents in the community, the potential challenges were in clear focus. Berdette believed in her heart, however that she could honor JR’s past, while also helping him build a better future. She knew that they could give him a family, and she wasn’t afraid of any of the behavioral issues he had had in the past. It’s a decision that the Carrasco family is grateful for every day. From showing JR how to fold his laundry, to teaching bigger lessons on how to be a kind adult, a good partner, and navigate the world around him, the experience has been incredibly positive for Frank and Berdette. And JR is thriving. After attending five high schools in a single year in foster care, he’s on track to graduate on schedule, an accomplishment that makes his parents very proud. But mostly, the Carrascos are just happy to have him home. 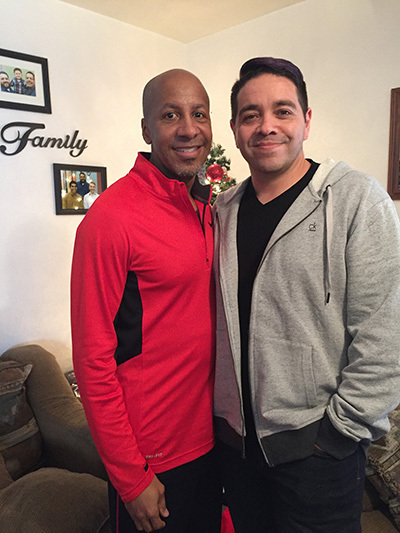 For Carlos and Alan McMillian, nothing is more important than the sense of love and comfort that comes from family. But their family – and, perhaps more importantly, their life – did not feel entirely complete until a chance meeting with a 10-year-old boy. 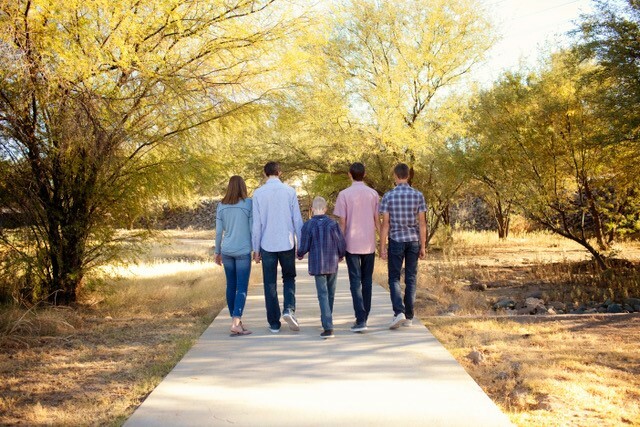 In 2015, the McMillians began their journey to become a family by becoming foster parents. They opened their home to foster children and made the most of those short-term relationships. As amazing as these placements were, they always knew they wanted to grow their family permanently. So, at the beginning of 2018, they decided to volunteer at the Children’s Heart Gallery. The Heart Gallery harnesses the power of photography to capture the unique spirit and tell the story of Arizona children awaiting adoption. The event runs with the help of volunteers, and Carlos and Alan knew their talents could help. Carlos, a cosmetologist by trade, could help with the children’s hair before photos, and Alan, who was in IT, could put his excellent writing skills to use in biography writing. During the event, Alan was asked step away from writing biographies for the children and serve as a guide for a 10-year-old boy. “J” was a humble yet self-assured boy who “sold” Alan in more ways than one. “No kid should have to sell themselves to be a part of a family. He just wanted to make a good impression,” Carlos said. Alan felt a connection right away. He knew it was unexpected, and he hoped the same would be true for Carlos. Carlos, while cutting and curling and braiding the hair of the children and teens who were at the Heart Gallery, had started to feel a sense of guilt. He had previously been closed off to the idea of adopting an older child – afraid, he said, that it would be harder to feel a connection. But then he met J. Up until the Heart Gallery, Carlos said, every potential child came their way came in the form of a file, and that file didn’t typically provide a complete snapshot of a child’s life. 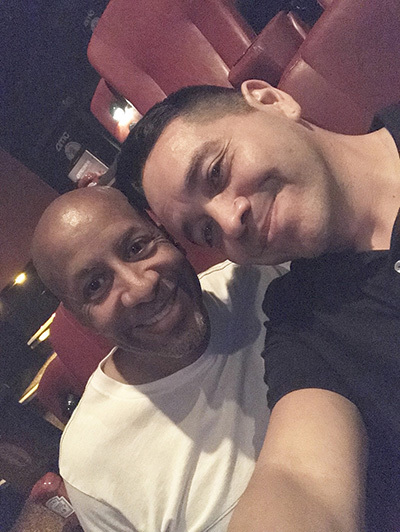 As soon as the McMillians got home from the Heart Gallery, Carlos emailed his caseworker, who in turn made all the right connections to find J from the Heart Gallery. After five months of team-matching meetings, phone calls, and lots of nerves, the McMillians finally were able to meet J again. Now, after nearly six years in foster care and group homes, just “surviving” as Carlos put it, J is settled in to his new home with his forever family and learning how to just be a kid, with activities like a typical 10-year-old. December 14, 2018, will be J’s official adoption date. For the McMillians, they now have the same hopes every parent has: for J to see his future and know that he can do anything. The McMillian hearts are finally full, they say, but maybe not completely. The future is wide open for their family, and they’re excited to see what is to come. For Beverly, the call to become a foster parent came from a unique source: her work as a counselor. As she watched clients struggle with substance abuse, Beverly saw firsthand the devastation that addiction could unleash on an entire family. Her clients included women whose children had been removed following a spiraling substance abuse. She saw many of these moms working as hard as they could to stay sober and reunite with their children, but in the interim, depend on the foster system to keep their kids safe and cared for. Beverly truly admired the role that foster parents, or “middle mamas,” played in helping kids in these devastating situations grow up and prepare for a more permanent family environment. Her experiences inspired her to become a licensed foster parent herself, able to leverage her own knowledge and caring heart to support children and families in these situations. But the journey didn’t end there. Beverly first saw Jay’s picture as a part of 12News’ Wednesday’s Child feature, which highlights children seeking adoption in Arizona’s foster care system. She immediately sensed a connection to the active, caring boy who was looking for a family, and applied to adopt him. At the time, a number of others had also seen the feature and applied to adopt Jay. Two families who were selected first reviewed his case and determined it would be too challenging to take him in. The reasons why were complex. Jay’s case file came with a long list of mental health issues and behaviors. The behaviors displayed seemed to be a reflection of the struggles he endured during his early childhood, and the other families didn’t feel equipped to overcome them. As a result, Jay remained in a group home, longing for a forever family to take him in. But Beverly was committed to the little boy and the connection she had felt since she saw him on Wednesday’s Child. 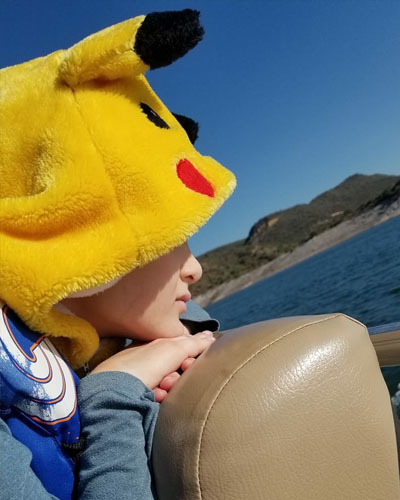 So, months later, in response to a letter from the Arizona Department of Child Safety encouraging foster parents to consider fostering older children, Beverly wrote them a letter, sharing her story of applying to adopt Jay. DCS responded, and caseworkers assisted Beverly in becoming Jay’s foster parent. This year, Beverly completed the adoption process, and Jay became her son. At long last, the connection was solidified, though it wasn’t easy. A big-picture result is also coming into focus for Beverly and her family since adoption. 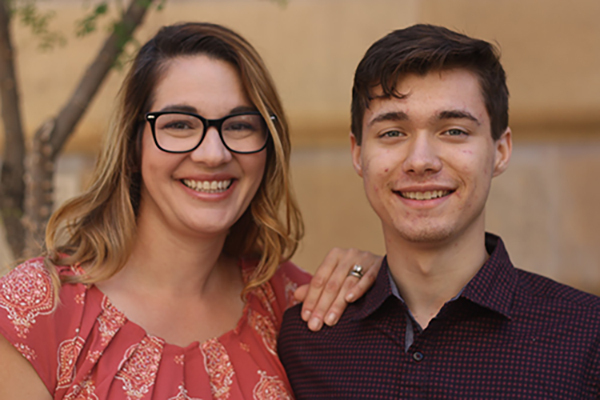 Through a connection with a local foster agency, Beverly met the adoptive parents of Jay’s biological brother. Jay’s last memory before legal separation from his brother was a fight they had had – it was pain both he and his brother felt every day. It was entirely possible that that pain could continue for the rest of their lives – legal separation could have meant never seeing each other again. 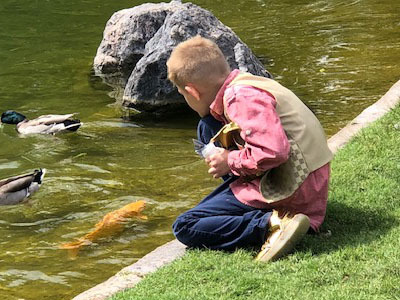 But through Beverly’s connection with his brother’s adoptive parents, Jay and his brother were not only able to meet again and make up, but today, are able to connect and spend time together regularly – they’re even participating in activities as a pair. Since adoption, Jay’s challenges haven’t gone away, but the improvement is clearly felt. As a family, they’ve traveled to Alaska and Disneyland, and they’ve taken a Disney Cruise together – things that Jay might not have had the opportunity to do without Beverly stepping up and becoming his mother. With experiences like hers, Beverly has apt advice for future foster and adoptive parents. “Keep an open mind, stay consistent, and just love them,” she says. Want to read more adoption stories? You’re not just giving these children a home, you’re giving them a chance to thrive. Learn more about the kids in your area awaiting a future home. [ 1 ] According to an October 2018 report from the Arizona Department of Child Safety. [ 2 ] Coughlin, Amy and Caryn Abramowitz. Cross-Cultural Adoption. Washington, D.C.: Lifeline Press, 2004. [ 3 ] DCS Semi Annual Child Welfare Report. Reporting period January 1, 2018 to June 30, 2018.